“We stand here and condemn absolutely the attack that occurred today by an extremist, right-wing, violent terrorist,” Australian Prime Minister Scott Morrison told a news conference, as his country grapples with the fact that one of its own murdered 50 Muslim worshippers in neighboring New Zealand. 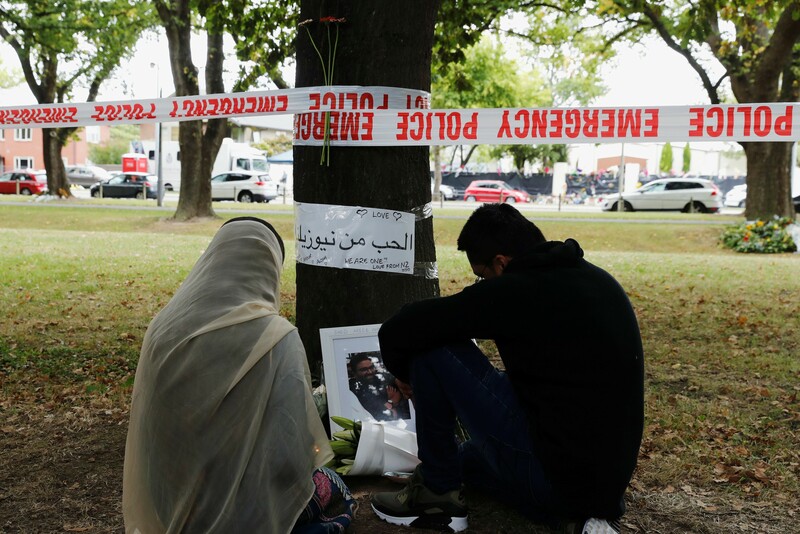 While Morrison should be commended for calling out and identifying exactly who and what the Christchurch mosque mass murderer is – “a right wing, violent terrorist” – Australia’s political leader and his conservative party is responsible for the mainstreaming of the kind of anti-Muslim rhetoric that once existed only in memes found in the far-right blogosphere. Bear in mind that Morrison, as then opposition immigration spokesman in 2011, urged the shadow cabinet to leverage growing anxieties voters held about “Muslim immigration”, “Muslims in Australia”, and the “inability” of Muslims to integrate into the local culture. Today, Australia’s ecosystem of far-right groups, both online and in the streets, has meshed seamlessly with popular political discourse on the right, with One Nation Senator Pauline Hanson recently comparing Islam to a “disease” that had to be “vaccinated” against. Another senator, Fraser Anning, suggested Australia must adopt a “final solution” approach to end Muslim immigration, while former Prime Minister Tony Abbott expressed doubts about Islam being a “religion of peace”. Today, the kind of anti-Muslim views espoused by mainstream politicians and pundits are indistinguishable from those disseminated by violent far-right groups and individuals. Such a discourse has normalised Islamophobia in a way that makes Brenton Tarrant’s deranged and semi-coherent 74-page manifesto seem run-of-the-mill political discourse. This is why political parties spend hundreds of millions of dollars each year trying to measure which issues matter most to voters and where voters stand on the issues. Now, one doesn’t need to have attained a degree in political science to understand that politicians reflect and amplify the views of their constituents in order to amass support and votes. In other words, they don’t say things that won’t be rewarded politically. Now, despite the fact 75 percent of Australians acknowledge they know little or nothing about Islam and Muslims, which is not surprising given that Muslims represent only 2 percent of the total population, in Australia one in 10 Australians are “highly Islamophobic” and have a fear or dread of Muslims. A slew of data bears this out. Consider that while only 41 percent of Americans support a temporary ban on immigrants from a handful of Muslim majority nation states, a plurality of Australians (49 percent) support a permanent block on Muslims entering the country. Murdoch owned newspapers in Australia produced an incredible 2,891 negative stories about Muslims and Islam. This is exactly where global white supremacist terrorism and the Christchurch terrorist were born – right-wing-media-industrial-complex. Also, consider that while only 250 of the nation’s roughly 500,000 Muslims wear the niqab, more than 55 percent of Australians support banning it from public places. If a single poll number could prove that fear and loathing of Muslims has reached hysteria levels, then it would be the one that shows Australians estimating its Muslim population to be nine times higher than it actually is. So, how did Australia get here, or rather how did a country that rightfully and proudly boasts of establishing a thriving multicultural society, with Melbourne and Sydney ranking among the world’s most cosmopolitan cities, produce an individual made so deranged by a pathological hatred of Muslims? Surprisingly, the answer to that question is actually quite simple: Both the media and Australia’s political entrepreneurs have profited from the anxieties “Islamist” terrorist attacks invoke, and the longstanding fears white Australia has over finding itself in an Asian neighbourhood, by adopting the language of the far-right. Fear of the foreign other is as Australian as backyard cricket and meat pies, a fact underscored by its longstanding “White Australia Policy”, which banned people of non-European origin during the years 1901 to 1966, the year it was fully disbanded. But it was fear of being overrun by Asian hordes that kept the white racist mind awake at night. In the 19th century, it was the concern that Chinese immigrants were taking all the jobs and gold. In the next it was the understandable fear of a rampaging imperialist Japan, which preceded anxieties about being overrun by refugees and asylum seekers in the late 1990s. The pivotal year in terms of how Australians have come to fear Muslims, however, was the year 2001, and I’m not referring to the September 11 attacks on New York City and Washington DC, but rather the national election held that year. In the run up to the polls, the then conservative coalition was staring at a heavy electoral defeat, and thus desperately needed a last-second Hail Mary play to salvage victory from the jaws of humiliation. In August of that year, its prayers were answered when a refugee boat named Tampa, built to hold no more than 40 passengers, entered Australian waters carrying 433 Afghan asylum seekers, including 46 children, who were fleeing the brutality of the Taliban regime in Afghanistan. Less than two weeks after the refugees aboard Tampa had begun to dominate the news cycle, four hijacked US passenger jets slammed into the World Trade Center, the Pentagon, and a field in Pennsylvania, with Taliban hosted al-Qaeda declaring responsibility for what remains the largest terrorist attack in history. Suddenly, Howard had a path to reelection on the literal backs of 433 Afghan asylum seekers, and without concern for their well-being and in defiance of international law, the government played on the fear voters suddenly had about Islam and Muslims, even going so far as falsely claiming that mothers and fathers threw their children overboard as a ploy to secure rescue and passage to shore. Such rhetoric, no doubt, reinforced Islamophobic tropes about Muslims being “uncivilized and barbaric”, helping the Howard government eek out a narrow electoral victory on 10 November 2001. Howard’s successful campaign of race baiting and fear would change Australian politics forever, putting immigration at the centre of political debate for the subsequent two decades. Undoubtedly, this was helped along by the anxiety instilled in the public by the al-Qaeda terrorist attacks in Bali, Indonesia, on 12 October, 2002, which killed 88 Australians at a popular Kuta nightclub. When al-Qaeda affiliate Jemaah Islamiyah bombed the Australian embassy in Jakarta in 2004, which was followed by second attack on Bali in 2005, one that myself and several of my close friends were unfortunate enough to bear witness to, the words “Muslim” and “terrorist” became both synonymous and interchangeable in the Australian media. 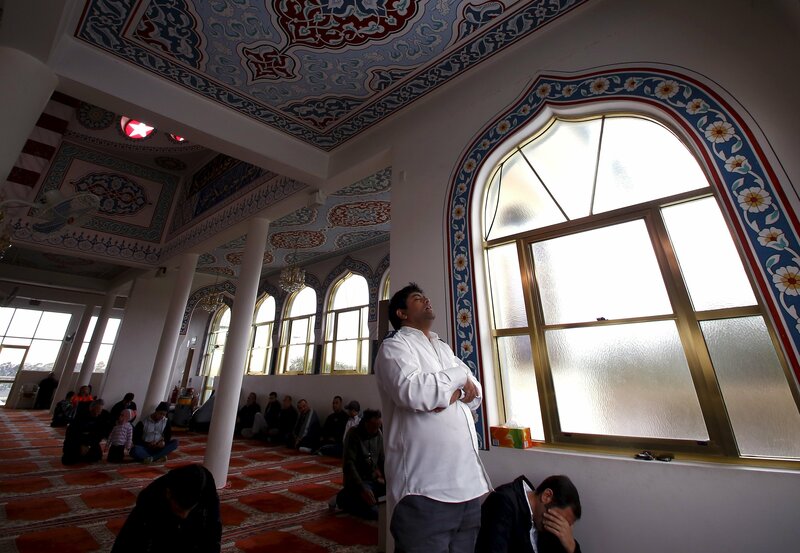 For now, overt anti-Muslim animus remained still largely invisible, holding a place mostly within online chat rooms and blogs, but then came the proliferation of social media, with Facebook and Twitter taking off in the years 2007-08, coinciding with the ubiquity of the smartphone. These new technologies suddenly gave Muslim-hating, far right, ultra-nationalist groups the ability to reach, connect, and influence a far greater audience than a million newsletters and blog articles ever could. It allowed them to place their anti-Muslim and anti-Islam memes in the timelines of those who might not ordinarily have ever come to be exposed to conspiracies that accuse 1.6 billion Muslims of secretly plotting to overthrow democratic governments and replace them with Islamic State-like governance, or developing a scheme to overrun the West with Muslim-born babies, otherwise known as the “Muslim tide” conspiracy. These entirely erroneous conspiracies are not only widely disseminated in the Australian social media landscape by accounts belonging to far-right groups such as Reclaim Australia, Australian Defense League, Rise Up Australia, United Patriots Front, Australian Liberty Alliance, Nationalist Alternative among others, but also in the mainstream media by politicians and pundits alike, and were referenced by the Christchurch terrorist on his blog and manifesto. It’s pertinent to point out, however, that whereas the presence of the far right is felt and seen in street marches throughout Europe, the UK, and US, these groups remain largely confined to an online presence in Australia, at least for now. It’s also worth noting here that prior to 9/11, ASIO, the country’s leading intelligence agency, deemed right-wing extremists to be the biggest domestic terrorism threat. It’s a threat that has always been here, continues to grow, and remains largely ignored. The threat grows because the mainstream media continues to harmonise far-right, anti-Muslim animus in public discourse, noting how a recent study found that right-leaning newspapers in Australia, specifically those owned by Rupert Murdoch, generated 2,891 media stories trashing Islam and Muslims in a single 12-month period, equating to eight negative headlines per day, everyday, for an entire year. When online portrayals of Muslims as “invaders” synchronise with newspaper headlines that also dehumanise and debase them, conflating the religion with terrorism, you get someone like Brenton Tarrant, and 50 dead Muslim worshippers at a mosque in neighbouring New Zealand. Previous Post: Russia Wipes US in War?